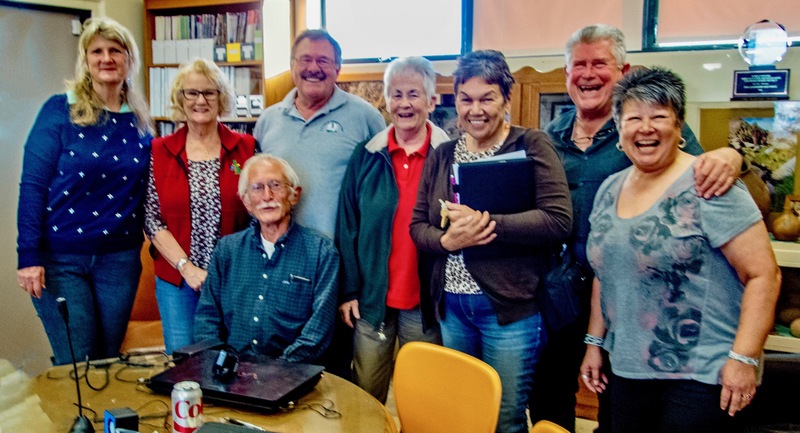 Colorado Desert Archaeology Society activities, events and training are organized by the volunteer Steering Committee. Archaeology Society Steering Committee meetings are open to all CDAS members. The meeting are held once a month during the season. Please click on this Calendar link for meeting dates and times. MaryLou White, Julie Nyssen, John Downing, Eugenie Newton, Robin Connors, Rick Huls, Paula Huls, and Gary Holmes (seated).